In preparation for the 3rd annual Montavilla Jazz Festival, the Portland Jazz Composers Ensemble will be hosting a meet and greet at Art Haus Coffee. Who will you be meeting and greeting, you may ask? A delicious taste of talent that will be featured at MJF 2016 (Aug. 20th & 21st), of course! There will also be a raffle of MJF and PJCE goodies, pastries, coffee and a Q&A with Jeff Baker, Kerry Politzer and George Colligan. Here’s just a taste of what you’re in for at Art Haus Coffee!! Called “…one of the best male vocalists in the jazz world today” by WCLK in Atlanta, Jeff Baker has quickly become one of the most significant talents in the next generation of jazz vocalists. 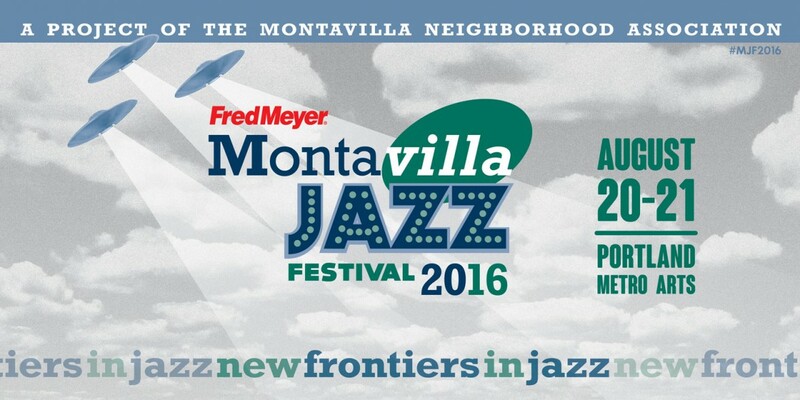 The 2016 Montavilla Jazz Festival will mark the world premier of Phrases. ‘Fathers and Sons’ is George Colligan’s musical retrospective of and tribute to his family tree, a programmatic representation of Colligan men in America. From Peter Colligan’s voyage to 1-year-old Jordan’s birth and development, the piece is a musical explanation and exploration of the composer’s lineage. Although each movement is distinct, there is still a motive thread throughout the entire work. Commissioned by the Portland Jazz Composers Ensemble, it features the composer at the piano as well as some of the best jazz musicians in the Portland area. Batida Diferente – A fruitful collaboration between Kerry Politzer and Laura Dreyer, two cutting edge female jazz composers and instrumentalists who share a passion for the Brazilian jazz idiom. Politzer and Dreyer will be accompanied by a stellar Portland based rhythm section that includes the 2016 Montavilla Jazz Festival headliner, George Colligan on drums, guitarist/composer Ryan Meagher, and bassist Chris Higgins. Get ready for an enticing blend of global jazz fusion. This event sponsored by Art Haus Coffee.